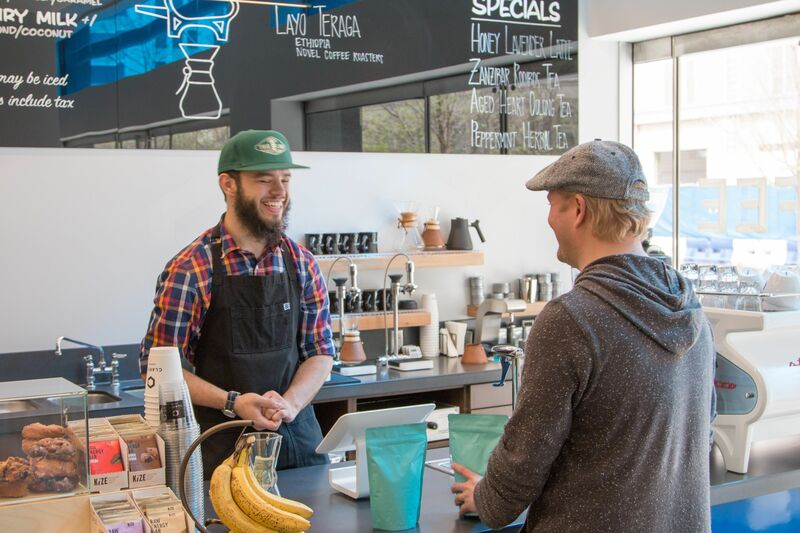 We're sitting down with Steve and Chelsea Willingham, Co-owners of Clarity Coffee, and learning about what makes a coffee shop special, the legacy they want to leave, and getting a sneak peek at their next venture, KLLR Coffee. Matt: Tell me where you’re from and tell me where’s Chelsea’s from. Oklahoma City? Steve: I’m from Oklahoma City - I was born and raised here. Chelsea is from... everywhere. She was a military brat. She’s lived in Oklahoma longer than she has anywhere else, but she was born in Hawaii and spent a lot of time in Colorado and Missouri. Matt: So what brought her here? Steve: College! She came to OU and ended up transferring and graduating from UCO. Matt: You guys are married, right? Matt: [Laughs] Cool - wanted to confirm! Where did you meet each other? Steve: Working in a coffee shop together - actually a Starbucks. Steve: Yeah. We were both working at Starbucks and it would’ve been in 2008 that we met. Matt: Cool - didn’t know that! So when did your love and passion for coffee begin? Steve: I actually wanted to open a bar - and I was 20 - so I didn’t want get into the bar scene until I was 21, so I took a job at Starbucks because I thought it had some relevant skills. 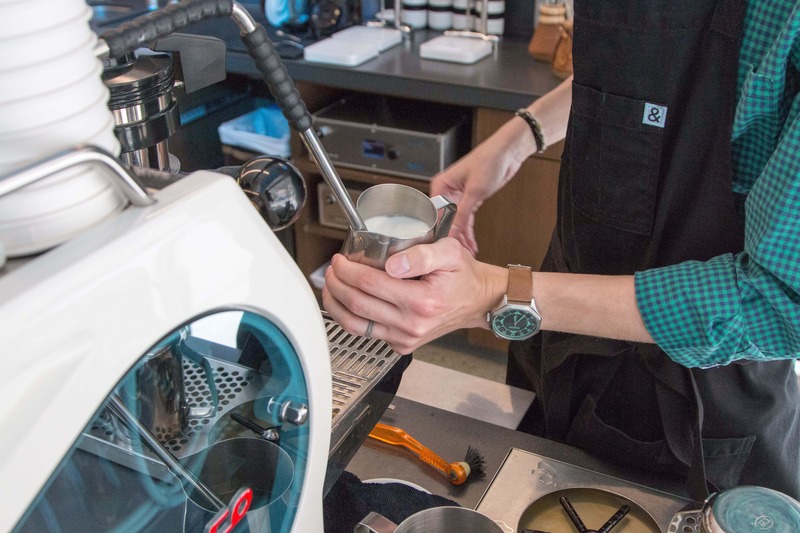 At the location I was working at, there was a ton of passion and the people were really into it, and it was infectious, so I really started to get into it and taste around a bunch of different coffees and things like that, and some of the people there introduced me to specialty coffee, and it was just straight on from there. Once I tasted a really special, interesting coffee, I was in love. I’ve been trying ever since to drink as many coffees as I can, read as much as I can, talk about coffee to as many people who want to talk to me about it, and so on. Matt: How long have you been doing it? Not just Clarity, but being a Barista too. Steve: 11 years - a little more than 11 actually. Matt: Wow. So you worked at Starbucks - did you work anywhere else after that? Steve: Yeah. I worked for a bunch of little places around here. 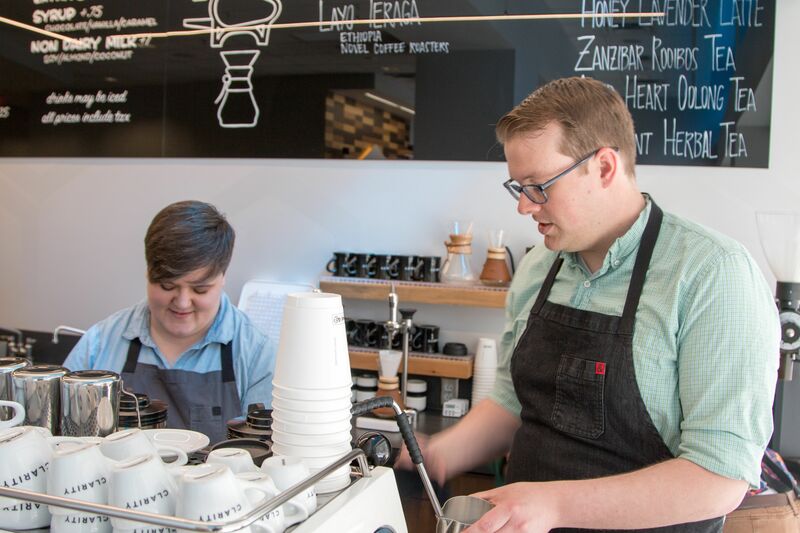 I worked at Coffee Slingers, I worked at Gray Owl for several years, and then eventually Elemental Coffee, which is where I was for the past 4 years before I opened up this place. So… yeah. I got around town a bit. Matt: [Laughs] Yeah. Is there any coffee shop that you remember going to, either as a kid or as an adult, and that you really liked or was there any shop that was special to you? Steve: Just from like a consumer point of view - no. I actually didn’t drink coffee until I took a job in coffee. Steve: Really. Neither did my family - it was not a big part of our lives at all. But, I mean, to that question, I would definitely say Gray Owl was that for me. It was very home to the people that hang out there. Matt: Do you like the vibes and atmosphere there the most? Steve: Yeah! Nostalgic for sure. 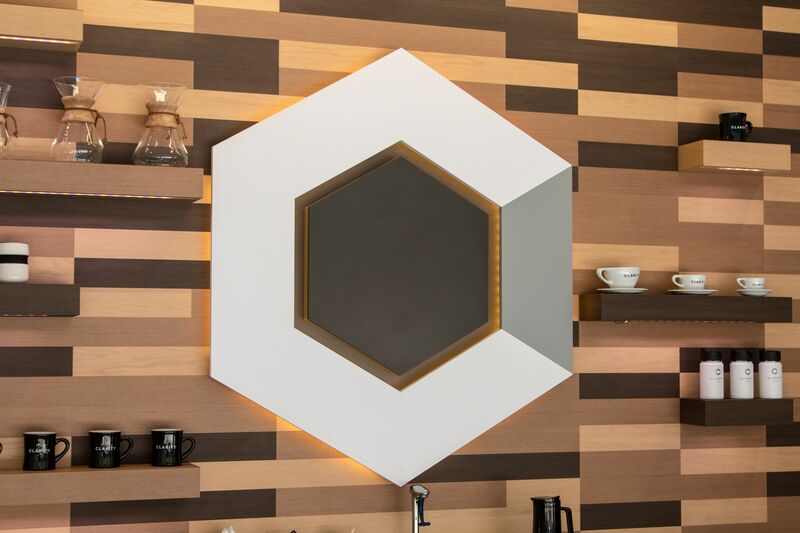 Matt: When it comes (creating) a coffee shop, what’s important to you element-wise? What does every coffee shop need to have? Matt: [Laughs] Anything else beyond that? Matt: What contributes to the mood and atmosphere of a shop? Steve: Every shop has their own way of approaching that. There’s not a single element, I would say, that is a contributing factor to that. I mean, people are really what’s going to make it. Matt: People meaning... customers or baristas? Steve: I mean the baristas, but the customers are obviously contributing to it too. But, like, if you go into a shop that has a smiling face, it is a better shop. No matter how good the coffee is, no matter how comfortable the seats are, no matter what music they’re playing, a grumpy person behind the bar is going to ruin everything else about it. Matt: For sure. So there’s not really a “one size fits all” element to coffee shops. Everybody’s trying to carve their own lane and coffee shop. Matt: Bikes on the wall. Steve: Yeah, bikes on the wall, scratched up counters - but also totally an awesome place. Matt: So once you determined that you wanted to open up a coffee shop, how’d you come up with the name “Clarity”? Steve: We spent a lot of time on the name actually. Clarity, in a coffee setting, refers to flavors that are really present in the cup and really recognizable. So, a coffee that has a lot of clarity would be like thinking “really crisp gala apples - that’s what this tastes like”. That’s a coffee that has a lot of clarity. But - it also kind of acts like a separate meaning. You know, coffee opens your mind and gives you clarity when drink it. So kind of a double meaning. Matt: Were you thinking of any names other than Clarity, or trying to determine between any two? Steve: Yeah - we worked with Carraway for a long time. That was our working title. (Carraway) is the narrator from The Great Gatsby. Matt: So how did you know you wanted to open a business in Downtown OKC, you know, Business District - or Arts District - depending on how you look at it? Steve: We wanted to be where the action was. We’re right between the Museum of Art, which is an awesome museum, and the Civic Center, Myriad Gardens, Devon Tower, the (Metropolitan) Library - you know, we’re right in the middle of so much stuff going in the city. There’s also a ton of development to the (...) west. But yeah, all the development over there is adding to the city in a really good way, and we wanted to be a part of it, so we chose a spot right in the middle. Steve: Well, kind of our shtick is that we source from multiple roasters. 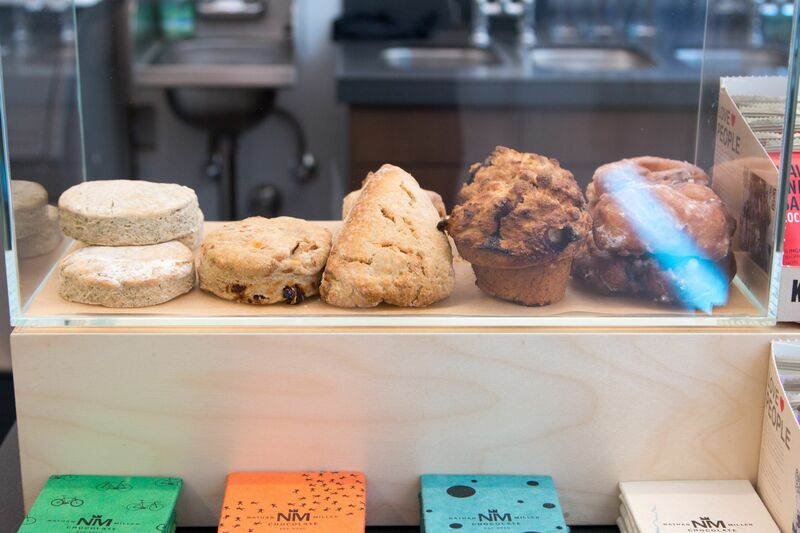 So, we’re probably testing out a dozen coffees for every coffee that purchase, and we purchase 2-3 a week. 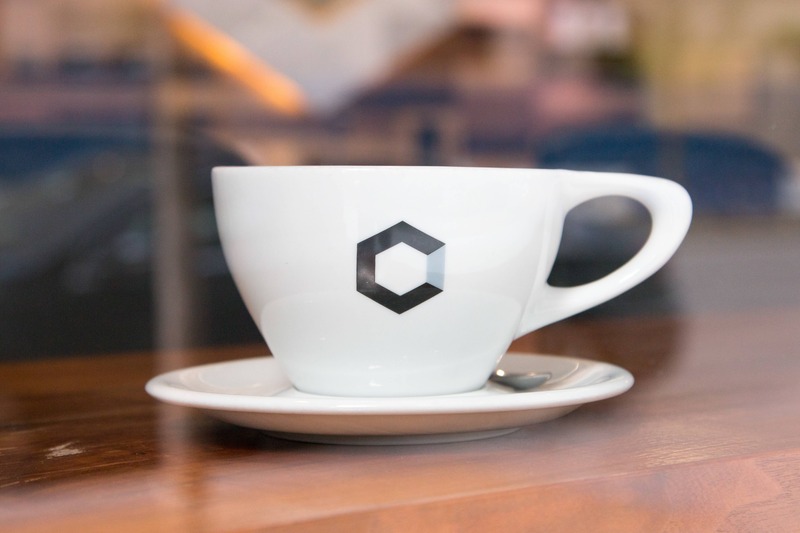 We just do so much deliberation on finding the right coffee that fit a certain profile. 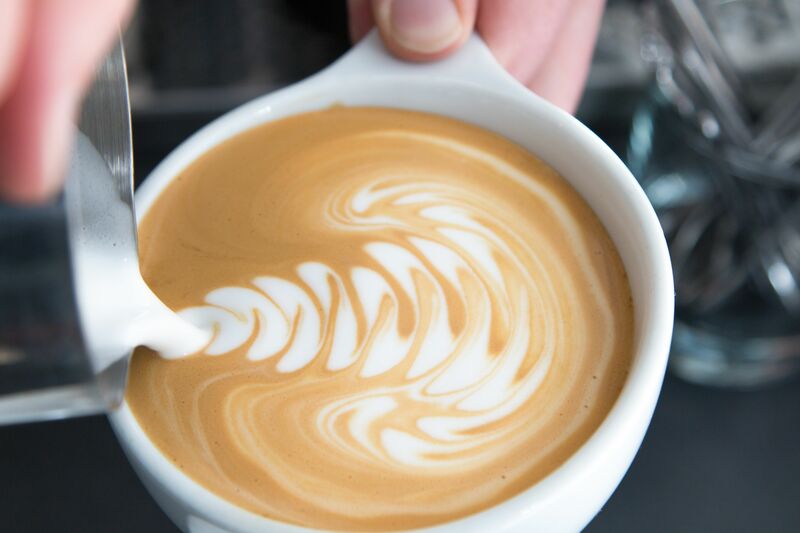 We want something that’s clean, crisp, has a lot of clarity - that’s the kind of coffee we want. Once we find one that fits what we’re trying to do here, it’s just a matter of treating it right, making sure that everything we do, every step along the way, is treating the coffee as well as we can, so that it stays as good as the roaster sent it to us. Matt: Since you were born here, how do you feel about the development and the rise of the city since the mid-1990s? Steve: It’s crazy. The MAPS Projects, and just like the amount of enthusiasm that this area has is just ridiculous. Like, growing up, we never came Downtown because there was nothing to do here. My parents probably thought it was dangerous, and maybe it was dangerous. But now it’s like - this is where everyone comes. This is the place to be. Matt: Right. How do you feel about being close to the artistic scene? Is that inspiring in any way? You know, like you said, the Museum of Art is really close by. Are you into art or anything like that? Steve: Yeah, I am! I wouldn’t say I’m very smart about it, but I’m definitely into it. We try to be part of it and try to feature local artists and switch up the art that we feature on the walls. Matt: Why don’t you tell me about the art you have on the wall right now? Steve: It’s super fun actually! It’s by a couple of artists: Nora Whiteside, who is, uh… 4 years old, and her mother, Ashley. 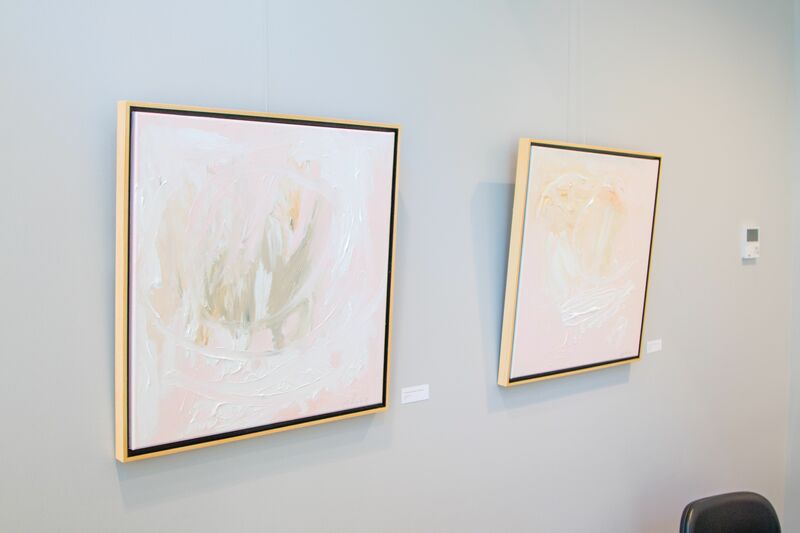 They paint them together, and Nora just does her thing and turns it into what a 4-year-old would do, and Ashley touches it up and gives it some texture and her own touch. Any proceeds from the art will actually go to Nora’s college fund. So it’s a pretty sweet deal. But yeah, we just try to work with anybody who’s doing interesting things. Matt: So do you sell the art here? Steve: Sort of. Everything that we have here is for sale. If anybody is interested in buying it, we just refer them to the curator. Matt: Chelsea, you came here for school, right? Matt: What did you think of OKC then, and what do you think of it now? Matt: Where did you want to move to? Chelsea: I really wanted to move to New York - that’s was my first thing. And then when Steve and I started dating, we talked about moving to Portland, and we actually went up there and looked for places to live and everything, but we decided to stay here because he (points at Steve) had a job at Elemental, and that was kind of around the time that Oklahoma City was starting to get cool. We lived in Norman at the time, but we were like “alright, I think we can move up to the city” and plant some roots for a little bit. And now, I love it. I don’t plan on leaving any time soon. It’s just such a big change, and I’ve been here for almost 11 years. The first 5 years I lived here compared to the last 5 years has been such a huge difference. 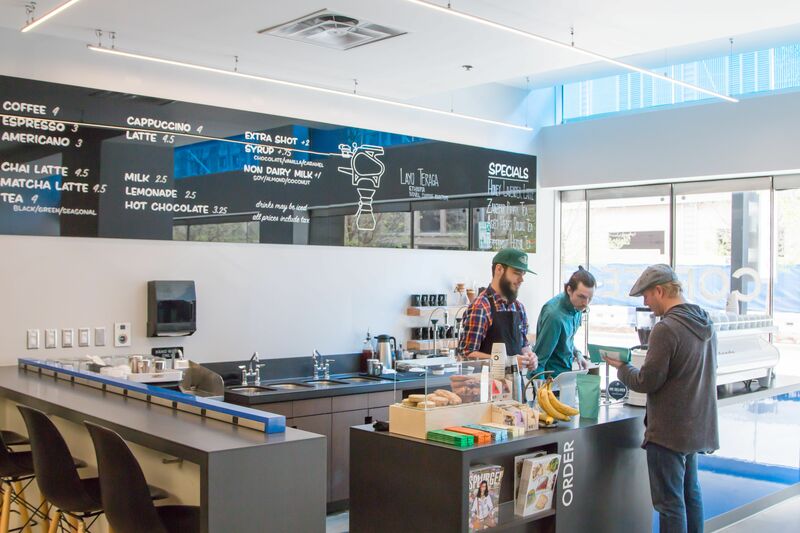 Matt: So… over the past 10 years, coffee shops in OKC have been popping up left and right. Matt: How do you feel about that? Is it becoming over-saturated, or is it good for the community? 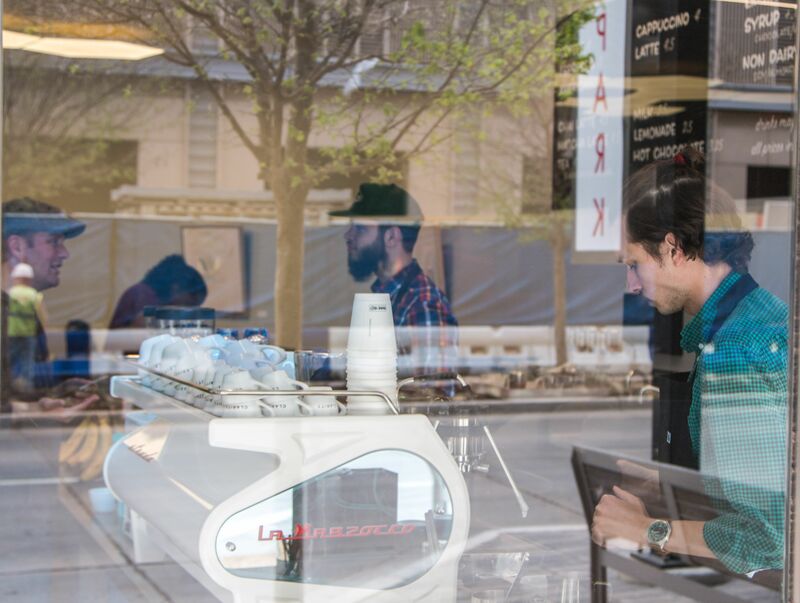 The local coffee scene is really, really growing. Steve: It is! It’s exploding, yeah. I think, right now, we’re still at a point where everything is really good. The coffee community around here is really close-knit, which is not true of most cities. Like, we’re all on really good terms with each other. It is not over-saturated yet, but it’s still growing so fast, so at some point, it might. Chelsea: (Referring to over-saturation) I don’t think so at all! I think everybody is so different that it’s a win for people to find their own place. You know, the coffee is different enough, the environment is different enough that there’s room for everybody, and I don’t feel like there’s too many people. It’s been awesome because everybody is so friendly, and I heard that in other cities people are a lot more cutthroat and competitive, and I feel like the coffee community - from Edmond to Norman and even up to Hoboken - everybody is friends and they share and help each other out, so that’s been really cool. Matt: When do you think we’re going to reach that tipping point? Steve: I have no idea. But, you know, once we get to that point, everybody will just be stepping up their game and making better and better coffee, and I think that’s great. Matt: Yeah, for sure. I feel like everybody is opening a coffee shop these days. Steve: [Laughs] When are you opening yours? Matt: [Laughs] You know, for a long time, I’ve wanted to open up a coffee shop, but I don’t have that kind of experience, so… I don’t think I’m ever going to do that. Matt: If you could go back in time before Clarity Coffee even existed, would either of you change anything or do anything differently? Matt: Yeah, like the type of coffee you serve, the location, the machinery you use - anything. Chelsea: I think I would keep most of the concept the same. There are just some things that we found out after we opened - like it’s a little bit of a different business than we originally planned on, so I’d probably rearrange the layout of the cafe. We kind of designed the bar area for Steve to work by himself all day long, and I was just going to come in after my office job and help out. Steve: I think there are definitely some things we would change, but they would be really minor things. Like little things that we would change about our workflow or setup. But we would still be in the same spot, serving the same coffee, using the same machinery. Steve: Nope. We did what we wanted, and it’s awesome. Matt: What motivates you to get up in the morning? You guys open at what, 6AM? Matt: It’s a tough question - I know. Steve: Yeah, I don’t really know - I wake up motivated because I’m just a morning person. But I don’t know - what is that thing? I really like getting out in the community and I get to make coffee for people and make their days a little bit better — that’s awesome to me. Chelsea: [Laughs] Knowing that I have a cup of coffee at work waiting for me. Matt: What type of legacy do you want to leave on OKC? Every business that opens here, they’re going to leave a mark, whether they want to or not. What type of mark do you want to leave on the city or do you want to leave personally? Steve: Dude, I think that all I want to do here is like make people’s lives a little more pleasant, and if that is my legacy, awesome. Chelsea: One of my favorite things about having a shop is watching people meet each other, and people starting projects and business just from their interactions here. 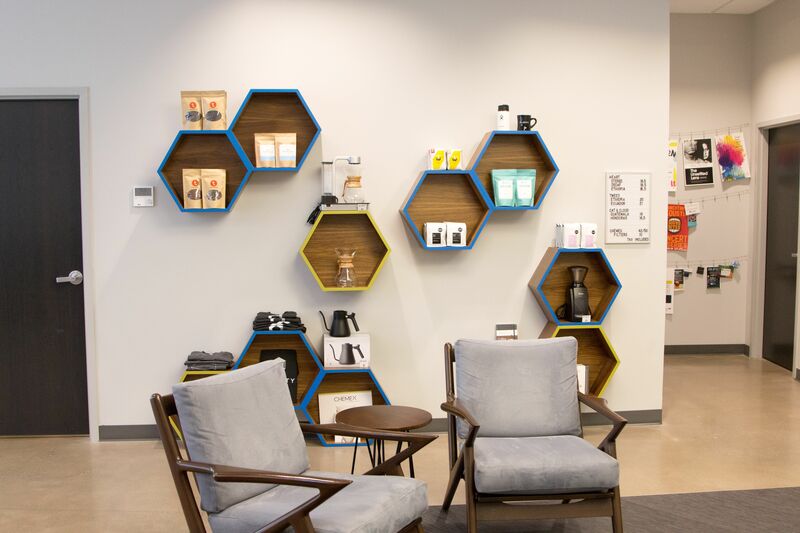 It’s been so fun to see business deals happen and things like that, so becoming that community hub where people can come in, sit, have a cup of coffee, and see a friend. Matt: So you want to create “the place to be”? Chelsea: Yeah, so just like accidentally running into friends and having a really awesome coffee and service experience. Matt: Aside from your own, what are your favorite local coffee shops? And it doesn’t just have to be OKC, anywhere in the state works. I know Tulsa has some pretty good coffee shops. Steve: Yeah they do - I was just up there earlier this week, and has some stuff from Chimera that was really awesome, and their food is amazing too. You know, I think Elemental still has a very special place in my heart, so that’s definitely on my list. And I have a ton of respect for Topeca up in Tulsa. I’ll only give you three because my list could go on for a while. 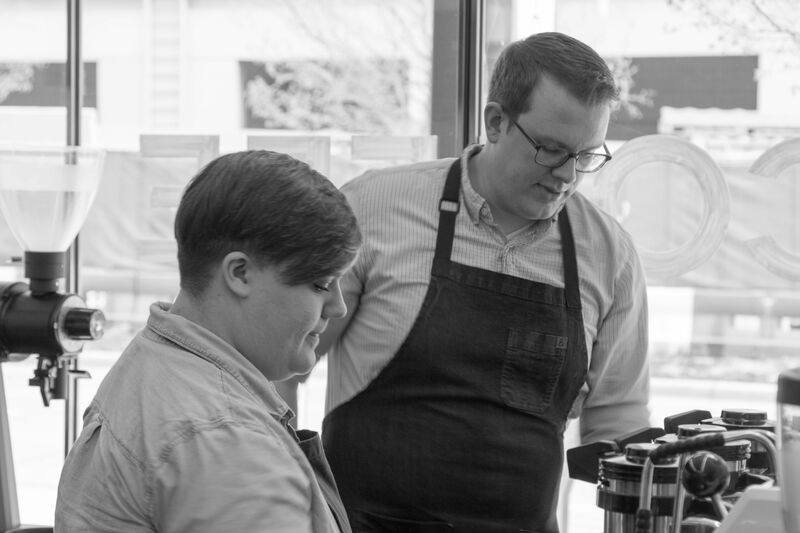 Chelsea: I think Chimera is awesome in Tulsa, and I think (Coffee) Slingers is awesome. They’re the OGs. We would spend our mornings there when we first started dating. We’d meet up and then we go our separate ways in the afternoon. It’s just an awesome place that we like to hang out at. Elemental is awesome, of course we like them a lot, and they have vegan lunch options - so that’s a really cool addition to the city. Matt: Let’s exclude coffee shops this time. What are your favorite local shops in OKC? Steve: Oh, cool. Tamashii Ramen House is probably my favorite restaurant at the moment, although that changes from day-to-day. I think Shop Good is a really cool retail space with some unique ideas - I like that place a lot. Chelsea: I really like Shop Good, I think they’re awesome and they’re doing awesome things. Plenty (Mercantile) is really cool, and restaurant wise, Good Egg (Dining Group) is just knocking it out of the park. All the design that they do, all the food is awesome. 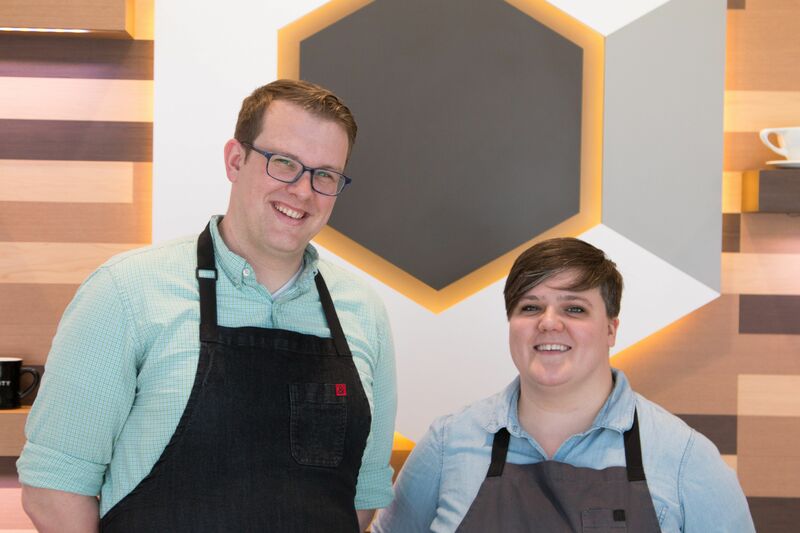 If you list off the best restaurants in Oklahoma City, it’s like Good Egg, Good Egg, and Good Egg. I like that they’re tackling all these concepts and making the city more awesome. They’re invigorating under-appreciated areas in Downtown. Kitchen (324) was proof that Downtown can be alive on the weekends, so that was big for us to be able to come down here and be busy on the weekends. Steve: Can I add a third shoutout? Chelsea: Oh yeah! We’re so excited for them. Matt: That’s in Midtown, right? I think I walked by it the other night. It’s right across from Insomnia Cookies? Steve: It is. They’re temporarily in that space. They’re building out a bigger space in the Edge apartments, but they’re going to be so valuable to that neighborhood, and I’m just so excited about that. Steve: And community. That’s what we need - shopkeepers with a passion for community. That’s how we build the city the way we want it. Chelsea: Yeah, for sure. He wants to do events for the kids and stuff too. 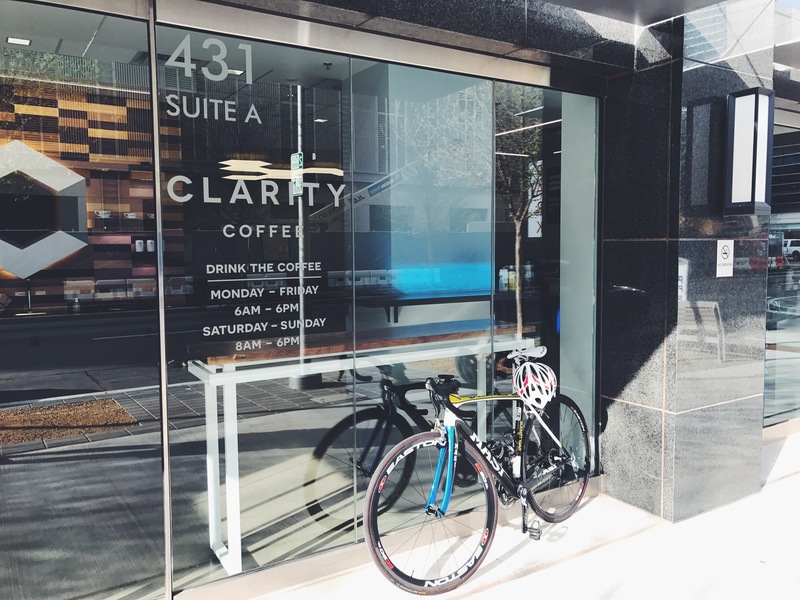 Matt: Where do you see Clarity Coffee in 5 years? 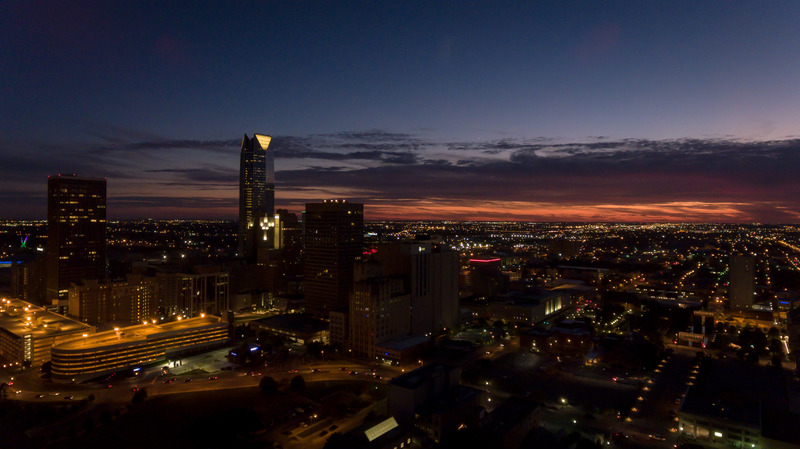 Do you want to expand to other locations, or do you want to stay right here in the heart of Oklahoma City? Steve: We don’t have any intention on expanding or opening any other locations necessarily. 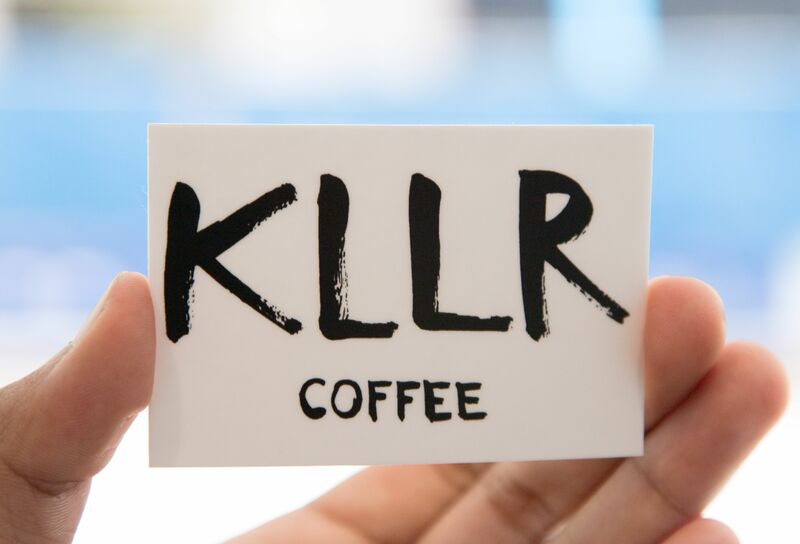 Our next step is to start a roasting company, and it’s going to be called KLLR (Killer) Coffee. We have a space over on 23rd Street, and we’re hoping to get going in a few months! Matt: Wow - that’s awesome! Steve: I’m going to give you the super generic “a few months”, because we’re not exactly sure how long it’ll take to finish the build out. We take over the space on May 1st, that’ll be our next project. Matt: That’s honestly really cool - I had no idea. Steve: It actually hasn’t been public for very long, but it’s good to go now. Matt: Aside from Clarity, where do you see Oklahoma City in 5 years? Steve: Hopefully just as kind as it right now, and hopefully we don’t get too big for ourselves. Matt: The city is pretty spread out right now. Steve: Yes, it is. It would be nice if we were growing up and not out, but, you know, it’s going to keep sprawling. But I think Oklahoma City makes good investments in the core - you know, the MAPS project has been awesome, and there’s been progress in infrastructure. We’re going to have the Streetcar next year. Steve: It’s going to be amazing. You know, the bike lanes have been slightly updated this year too. Matt: Yeah, I saw they painted them green! Steve: Hopefully that’s a sign of more investment in non-car infrastructure. There’s been progress in the last few years, so I’m looking forward to seeing what happens. Matt: What district do you think is going to be the “next one up”? Meaning, you know, Plaza District has really, really grown, and a lot of people are saying that Plaza will probably be the most popular until something new comes around. Steve: Arts District, what what! Chelsea: [Laughs] Obviously we hope it’s the Downtown core, but that’s probably a ways out. I think Wheeler is going to be the next big hub for everything, because they’re incorporating the housing and the retail, and creating like a, you know, town square, and I’m really obsessed with new urbanism, so I’m really excited for it and I hope it takes off and helps growth happen to the south and connect us with the neighborhoods down there. Matt: Aside from Arts District, do you guys have a favorite district?Steve: Yeah, I’d probably say Midtown. Chelsea: I’d agree with that.Steve: Midtown just has so much momentum right now, and that’s what’s really exciting to us. That’s the place to be. If we could just get a grocery store, we’d be good. Matt: I heard Walmart is coming down to Downtown OKC! Steve: Dude, I’d welcome them with open arms. Chelsea: Yeah, I’m hearing urban Walmart and urban Target, both. If I had to vote, I’d pick urban Target. But that’s all we need! I like how it’s so connected, and we’re both super pumped about the Streetcar. Matt: Is there anything that you wish the public knew about coffee shops? Steve: The general public? Yes. I would say… don’t be intimidated. It’s just a friendly place. If you don’t know what to call the drink you want, just describe it. If you don’t even know what drink you want, just talk to the barista. We’ll figure it out! Matt: [Laughs] You know, that was my big problem 2 years ago. I almost never went to coffee shops, but when I started going, I was just like “I don’t know what to get. I don’t know what an Americano is.” I still don’t know what it is, and I’ve been going to coffee shops every other day for more than two years! Steve: Absolutely! It’s just an espresso is hot water. Matt: And now I know! Steve: It’s just a little more watered down, and has a more subtle flavor. But, yeah - that’s a prime example. You know, just hang out and talk. And if you never want to know what an Americano is, then that’s also fine. You can always just say “can I have an espresso with water?” - I don’t care. Matt: What is the best advice you’ve ever received, and who was it from? Working with NBA players, doing business with friends, and assisting Fortune 500 companies — that's a normal day at DRONEBOIS. From football coach to running Oklahoma's most successful dog daycare, Kyle Gillum does it all — and with ease + a pasison for what he does. How do you build businesses responsibly, ethically, and sustainably? The 4 founders at Plenty Mercantile have it figured out, and then some.